By 2050, three-quarters of the world will live in urban centers. Cities could soon consume as much as 80 percent of the global energy supply. 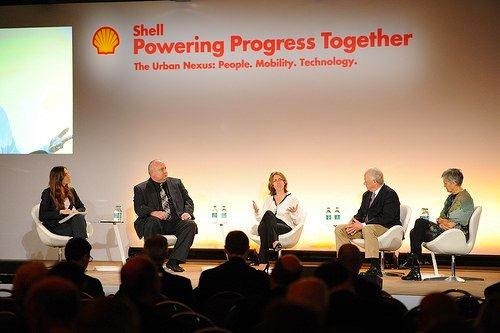 On April 9, 2015, with Detroit as the backdrop, Shell convened a group of leaders from business, academia, NGOs, and government to focus on the “urban nexus” - the vital connection among people, mobility and technology and the innovation that will foster sustainable future cities. Since 2012, Shell’s global Powering Progress Together series has brought together thought leaders to discuss the world’s energy challenges. The event was first held in the Netherlands, and has since expanded to Germany, Philippines, Turkey, and the United States. A range of expert speakers and panelists including Former U.S. Technology Officer Aneesh Chopra www.innovativestate.com, Robin Chase (Founder of Zipcar) www.robinchase.org, and William McDonough (author of Cradle to Cradle and The Upcycle) www.mcdonough.com, challenged the audience to consider how technology can foster creative and often unimaginable solutions to urban problems and improvements to citizens’ quality of life. These new cities will require innovative ways of moving people and goods. How can the transportation industry develop the technology solutions to manage urbanization, population growth, climate goals, and shifting trends in mobility? While there was a lot of discussion about light duty vehicles and personal transport, liquefied natural gas for heavy duty trucking – and the regulations surrounding its use - was also part of the conversation. In addition to foundational Westport technology on display – the Westport™ 15L engine with first generation high pressure direct injection technology – Westport’s Vice President of Strategy, Karen Hamberg, was one of the invited attendees. “We have a tremendous opportunity and challenge ahead of us. It is imperative that we find deep greenhouse gas emission reductions from across all segments of the transportation market to achieve climate goals and enhance the liveability of our cities,” says Karen. The event coincided with the 2015 Shell Eco-Marathon featuring urban concept and prototype cars from more than 1,200 high school and university students with close to 140 cars participating. The students were tasked with how to design, build, and test extreme efficiency vehicles that travel even farther on less energy. 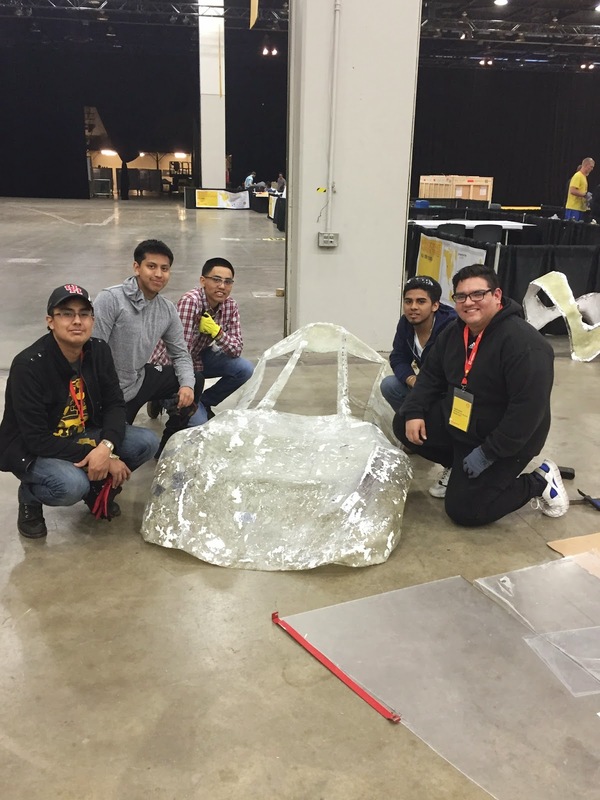 Westport provided a CNG tank to Team Red Octane, a group of engineering students from the University of Houston, who ran into challenges finding a tank for their entry. The University of Toronto Supermileage team won this year’s Shell Eco-Marathon Americas, with an efficiency of 3,421 miles per gallon—the equivalent of 6.82 millilitres of gasoline per 10 kilometres.